There’s an increasing number of people wanting to enjoy high-quality images on a large screen. In return, there’s also an increasing demand for listening high-quality audio. People are now looking for the best center channel speakers to enhance their overall home entertainment system. 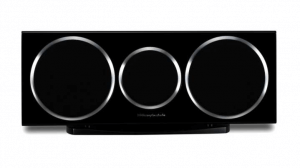 Using the right center channel speaker makes it easier to hear voices and music in different forms of media. However, there are different sizes, types, and prices of center channel speakers so it can become difficult to choose the right one. Therefore, we’re going to help you select the best center channel speaker to buy in the Philippines by giving you a guide and a list of items in a ranking format. 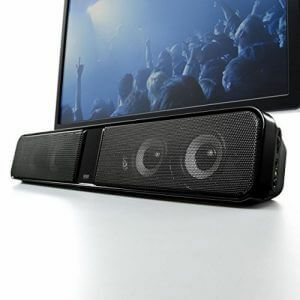 You can always consult this page to find the perfect center channel speaker for your TV and home entertainment system. First, let’s look at the factors to help you choose a center speaker in the Philippines. We’re going to tell you how to look for a speaker by their type, performance, and volume, just to name a few elements. 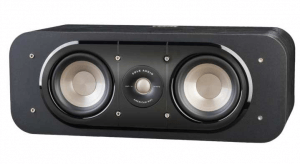 Different center channel speakers on the market call for varying types. You should know the type and qualities of each speaker unit to help you achieve the right audio performance for your specific needs. These center channel speakers have a simple structure for bringing audio. 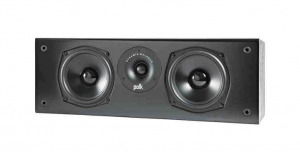 Full range center channel speakers tend to deliver equal responses to the bass and mid-range profiles. Furthermore, any high-pitched sound from the source will still come from this speaker unit instead of depending on another device. Since full range speakers prioritize simplicity in use, it’s a suitable choice for beginners, along with those who want to enhance the audio performance of their home entertainment systems without spending too much money. 2-way speakers are a great choice if your home entertainment system has issues regarding treble because of the addition of a tweeter which is responsible for high-pitched sound. 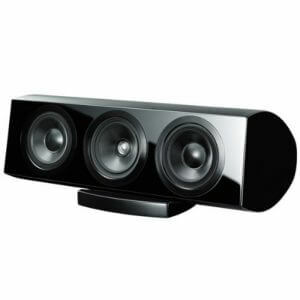 Most center channel speakers on the market are of this type. 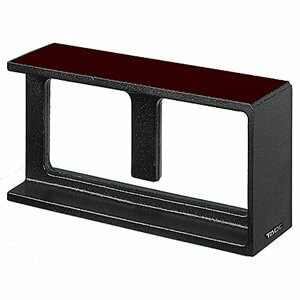 It’s a suitable choice to add to a surround sound system, and it’s still great as a standalone audio enhancer. 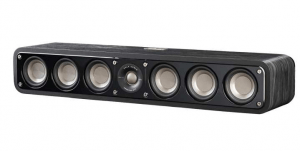 3-way center channel speakers can reproduce high-quality audio because each speaker element has a specific role. Each element takes care of either the lows, mids, or highs of an audio signature. As a result, it’s an excellent choice for intermediate to advanced users who are keen on giving their home entertainment systems the high-quality treatment. 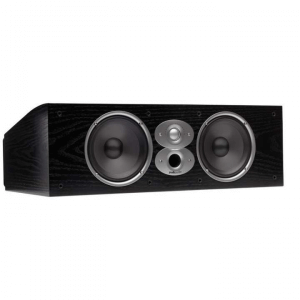 However, the price of 3-way speakers tends to be higher than the traditional speaker system. Nonetheless, you’ll enjoy a high-quality sound that you won’t mind adding to your home theater system. Check the label or product description of a center channel speaker and you’ll find a numerical value denoted next to an item called Sound Pressure Level. The higher the number expressed in decibels (dB), the more efficient the output. High sound pressure levels allow for easy listening as there’s little noise in the audio. If you’re using the speaker to connect to a TV set, then you should choose a unit with a sound pressure level of at least 85 dB. You can go as low as 75 dB but the quality won’t be as good. The “Ω” symbol represents the impedance value of center speakers. The value attached to this symbol should match the figure found in your amplifier. 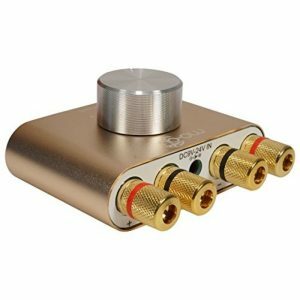 If you connect the speaker to the amplifier and the impedance value is different, then the audio won’t sound good. Always choose a speaker with the same impedance value as your amplifier to avoid complications. Center channel speakers are commonly installed right underneath a TV. Choose a speaker unit that’s smaller than the width of the TV for easy installation. Also, speakers with a larger width than the TV might spread the sound too much, and that might affect the overall audio performance and quality. 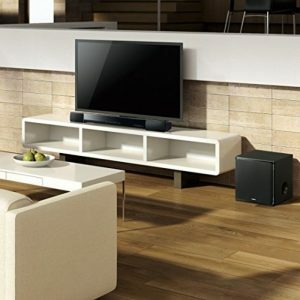 People buy and use center channel speakers for different purposes. If you just want to enhance the overall quality brought by your TV or if you like to listen to music with plenty of vocals, then choose a speaker that allows you to hear the voices with clarity. It’s not even an exaggeration to say that the center speaker can become the leading role in a home entertainment system because of its ability to enhance movie-watching experiences. However, buying center speakers online can become challenging in that regard because you can’t test the product first before purchasing it. Hence, you may want to check out reviews before deciding on which model to buy. If you’re considering to build a home entertainment system in the future, then it’s always important to match the audio quality of all the speakers in the set. It’s easy to match the qualities if all devices in the system are from the same manufacturer. People tend to install their center speakers right underneath their TV sets which make the device noticeable. Therefore, it’s a good idea to choose a speaker design that fits the TV. Try to match the design and color of the room when you’re selecting a speaker unit for your home entertainment system. However, if the device has a glossy design then it can reflect light which may become a hindrance while you’re watching TV. If you don’t want a speaker with a reflective surface, then choose one with a matte or wooden material instead. In this part, we’re going to introduce our top recommended center channel speakers in a ranking format. You can always consult our list if you’re in the market looking for a device to enhance the audio of your home entertainment system. 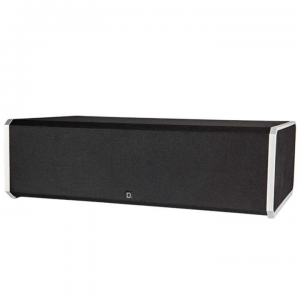 If you have a large living space or a large-screened TV, then this is a center channel speaker that’ll fit right in your home with its 24-inch width. It even has elements like a 6.5-inch Dynamic Balance midbass drivers and a 1-inch dome tweeter to offer a vibrant and dynamic sound across a large area. Its bulky looks do mean that it can catch the attention of any guest or onlooker inside the room. Nonetheless, it can perform well in an area with plenty of space. 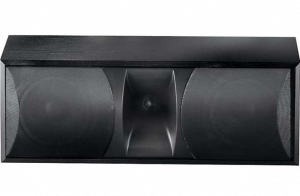 This center channel speaker is equipped with a 1-inch dome tweeter and two 4.5-inch midrange speakers. These elements equate to the product giving an excellent blend of highs and mids for a great clarity in the vocal range. It does carry an expensive price tag which may not be for budget-conscious buyers. However, it’s still a great choice for people who want to eke out every inch of voice clarity in music and movies. This speaker puts an emphasis on clarity in different areas. First, it has a silk dome Dynamic Balance Wave Guide tweeter to give clarity to the treble. Next, it contains two 5.25-inch Dynamic Balance Drivers for additional detail in vocals. Even though the rear-firing bass ports add a bit of power to the lows, it doesn’t offer much “oomph” in explosive action-packed scenes unlike other options on the market. It’s still a great choice for those who don’t want to miss any dialogue or lyrics in their favorite movies, TV shows, and music. With a width of 22.5 inches, this center channel speaker is definitely one of the largest models you can find on the market. While other speakers on the market try to put an emphasis on power, this model lets you save on power with its 125-watt output. It’s dual 6.5-inch woofers even brings the high dynamic range to its list of features. However, you may need to clear out a few items on a surface because this model will definitely take up space. Nonetheless, if you’re looking for a center speaker with plenty of highs and lows to spare while conserving power, then this unit is for you. To get luxurious-looking speakers, you may have to spend more than ₱ 10,000. However, this model is unlike its high-end counterparts because it has an elegant design but the price is reasonable enough for its looks. Aside from its premium design, it also packs a down-firing port to bring an extra layer of bass. If you want to make your speaker the center of attraction in the room without spending too much cash, then choose this model. Many 2-way speakers on the market are over ₱ 5,000, but this model is for those who prefer a budget-friendly choice. It even packs a maximum of 250 watts of power in an 18-inch width speaker. It even promotes 89 dB of sound output level which is adequate enough for its price. However, the bass performance of this speaker is something to be desired according to some reports. Nonetheless, if it is the first time for you to buy a home audio and if you don’t want to spend so much money on it, it’s still a great choice for you. 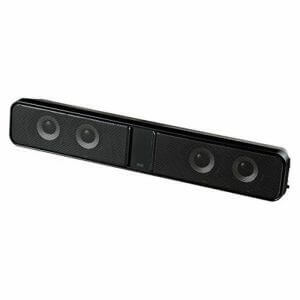 If you have a 5.1 surround sound home entertainment system, then this can be the next addition to your setup. This center channel speaker has a high-resolution terylene tweeter that balances the audio of tower speakers in a surround sound setup. Some people might run into some problems regarding a protruding rear element as it might become a hindrance for proper positioning. Place it in the right place, and you’re going to enjoy clearer bass and cleaner mid profiles in your media. 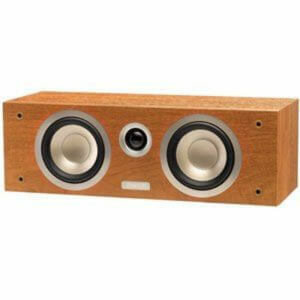 While most center channel speakers will work only as intended, this model allows you to use it as a left, right, and, of course, a center speaker with 6 drivers. Aside from its versatility, it can even deliver excellent power in the lows because of the use of a Power Port technology. This speaker is an excellent option for both beginner and advanced audiophiles because you don’t have to think about its role in your home entertainment system too much and it’ll still work well. If you’re having trouble searching for the right location for your chosen center speaker, then you should consider using a stand to rectify the issue. Just make sure to place the speaker in an area that will allow you to get the best audio performance out of it. How was our list of the best center channel speakers you can buy in the Philippines? Of course, it’s a good idea to incorporate a center speaker in a surround sound home theater system. In doing so, it can enhance the audio given by your TV.